Dizziness is something many people experience. You’ve felt faint. Or, there are moments where you’ve lost your balance. Less frequent though, is when you feel like the entire world is spinning around you even though you’re still. These are not fun sensations, and you should never ignore such symptoms when they occur. Dizziness is the most common reason adults go to the doctor. 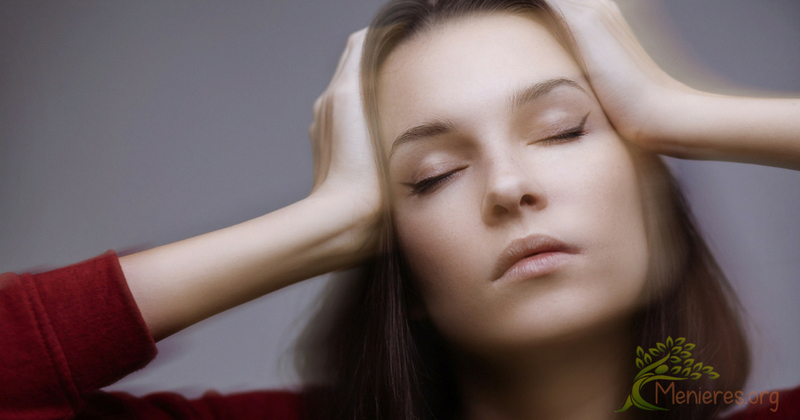 Constant dizziness may be a symptom of an underlying health issue. Depending on the cause, treatment varies. One underlying cause for bouts of dizziness, though rare, is Meniere’s Disease. Everyone is a little different. It’s hard to describe your dizzy spells to someone else. However, there are basic, universal experiences common among people who have regular bouts of dizziness. Below are some examples of conditions and sensations contributing to dizziness onset. Vertigo: The feeling like your body is whirling around or moving even though you’re standing still. Loss of Balance: Unsteadiness on your feet. Loss of Equilibrium: Light-headedness or losing your balance. Unsteadiness: The onset of wooziness or shakiness. Strong Emotion: Feelings of confusion, fear, or giddiness. 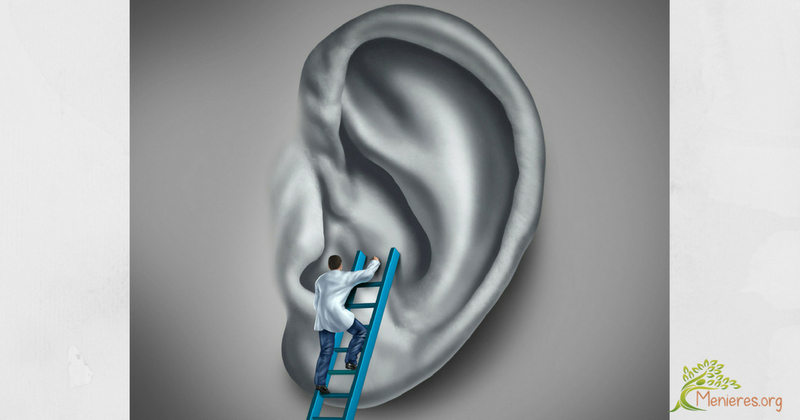 Hearing Impairment or Loss: The feeling your ears are stuffy can affect your hearing. Also, the sound of ringing in your ears which does not stem from an external source (tinnitus) is common in people with Meniere’s. Rising to a standing position too quick from a sitting or prone position. The abrupt movement of the head. 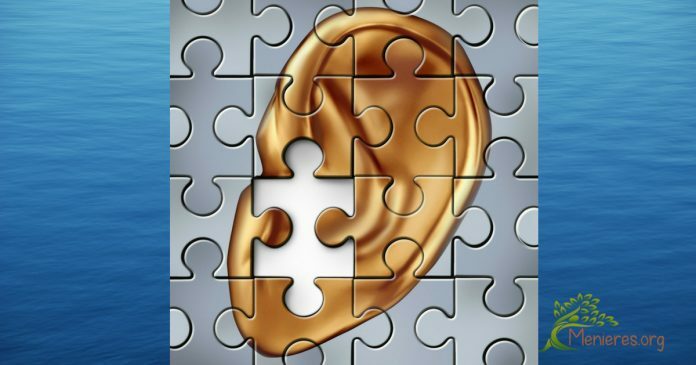 Ear infections result in fluid buildup inside the ear. The fluid leads to dizziness or a loss of balance. Hypotension or low blood pressure can trigger dizziness and vertigo. Panic and anxiety issues have dizziness as a symptom. 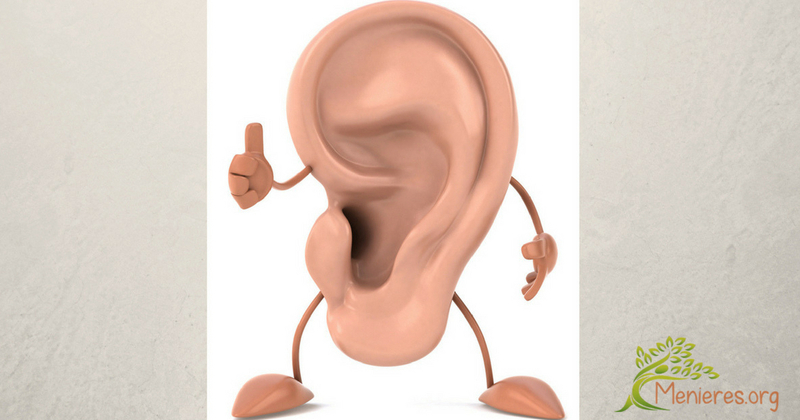 With illness, you may deal with an inner ear infection. The fluid creates an issue with how your eyes and sensory nerves interpret your stance. A physician may give you a prescription for antibiotics to clear this up. Blood pressure medication like lisinopril. If a drug is the origin of dizzy spells, the episodes begin within two weeks from the time you begin using a specific medication. If you believe your medication is at the heart of the problem, talk to your doctor about alternative medications or treatments. Balance: The sensation of being unstable. Vision Issues: The onset of blurry vision. Respiratory Issues: Difficulty breathing or shortness of breath. Body Temperature Changes: A fever, either from sudden or slow onset. Headaches: The sudden occurrence of severe head pain or the onset of debilitating migraines. Heart Issues: Pounding or chest pains. Numbness: Especially in your arms or hands. Neck Pain: Stiffness in your neck. Walking Difficulty: Stumbling as you walk. Upset Stomach: Vomiting extending beyond the dizzy spell one experiences. General Feelings of Un-wellness: Bodily weakness. Blood Imbalances: Low levels of iron or sugar trigger light-headedness. Weariness, feeling weak, sweating, and anxiousness may accompany the uncomfortable sensation. Circulation: A sudden drop in blood pressure or poor blood circulation can leave you feeling faint. Dehydration: Nutritionists recommend at least eight glasses of water daily because our bodies are mostly water. If it is hot outside or you are more active than usual, it’s best to increase your water intake. Meniere’s Disease: Symptoms like vertigo often appear with other health issues. These include tinnitus, progressive hearing loss, and stuffiness in one ear. This condition is difficult to diagnose, so if your physician feels this is a possibility based on your history, he or she will order several tests that will confirm or rule out this possibility. Neurological Disorders: A growing sense of imbalance may accompany certain progressive diseases, including Meniere’s Syndrome. Pregnancy: Dizziness is common during pregnancy. The bouts of imbalance are due to changing hormones which direct more blood flow to the fetus. You might also be anemic. Pregnancy-caused wooziness usually occurs in the first trimester. Tumors: Tumors or growths inside the ear or brain can contribute to losing your balance. A doctor may order an MRI or CAT scan to confirm or rule out a problem. 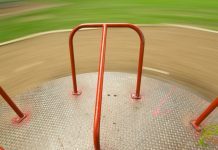 The likeliness of experiencing dizziness increases with one’s age; that’s because the chance of contributing medical conditions also increases. As we age, our arteries may harden and the changes in a woman’s body chemistry during menopause may also trigger dizziness. What Can I do to Help Ease Dizzy Spells? If you have underlying health problems, your doctor will consider such issues when developing a plan for dealing with dizziness. Those suffering from Meniere’s Disease will have different care plans than those who have circulation problems, for example. However, people studying dizziness have suggestions you can try. Apple Cider Vinegar: Studies suggest that apple cider vinegar stabilizes blood sugar changes. Consuming it can help in preventing light-headed sensations. The recommended intake is a tablespoon daily (mix it with a tall glass of water). Ginger: Consuming ginger helps with dealing with nausea which is a secondary symptom stemming from dizziness. Ginger tea is the simplest, and least expensive means of consuming the supplement. Environmental changes: Keeping cool and dimming the lights can decrease the severity of your dizziness or the duration it lasts. Ginkgo Biloba: Chinese medicine promotes the use of Gingko Biloba. It acts as a brain tonic and a dizziness treatment. Iron: Iron staves off anemia-related dizziness. You should get as much iron as possible from the food you consume. Choices include liver, lentils, grass fed beef, dark chocolate, spinach, black beans, raisins, and pistachios. Massage: For those who have dizziness caused by stress or with conditions like Meniere’s disease that increases anxiety a massage may help release those tensions. Anti-nausea Medicine: For combating that feeling of queasiness that happens when you’re dizzy. Diuretics (water pills) : For dealing with Meniere’s disease help moderate inner ear fluid buildup. Migraine Pills: For those that feel unbalanced during a migraine. Vitamin B-6: Some research shows vitamin B-6 helps with vertigo symptoms, but particularly symptoms stemming from the use of medication. Foods containing vitamin B-6 include tuna, prunes, turkey, apricots, chicken breast, blackstrap molasses, and sesame or sunflower seeds. Vitamin C: The Meniere’s society suggests adding vitamin C-rich foods to your diet. It reduces vertigo and increases the amount of times between attacks. Examples of edibles with a high amount of Vitamin C include citrus (oranges and grapefruit), guava, currents, kiwi, green pepper, broccoli, peas, and cauliflower. Vitamin E: The supplement can help you maintain proper blood circulation. In natural form, you can get Vitamin E from spinach, nuts, or kiwi. Water: Again, drinking plenty of water staves off dizziness from dehydration. Whole Grains: Your body digests whole grains slowly, which maintains even blood sugar levels. The main complications from dizziness come from the uncertainty of when a vertigo spell might hit. If you are driving, walking alone, shopping or using electrical tools, you risk injury. There are modifications you can make to improve your safety. Below is a list of changes to make your home a safer environment if you or a loved one suffers from the symptoms of Meniere’s Disease. Also, there’s a list of some simple behavioral changes which will increase safety for oneself and others. Throughout the house use nonskid rugs and make sure that everyone in the house keeps the main traffic patterns clear from clutter. Have night lights throughout the home. It allows you to move to a better location without visual difficulty. Add grab bars near your tub and toilet or put a seat in the shower. Keep items you use all the time on lower shelves in your home. It prevents the need to climb. Use softer lighting. Bright lights like the lighting in the supermarket can make you dizzy. Avoid driving alone (talk to your physician about this). Avoid climbing on ladders or stools (heights can trigger vertigo) . Wear low shoes with good traction soles. Wear sunglasses when going to places with fluorescent lights or flashing lights. Keep a cane with you so you can steady yourself if the dizziness doesn’t pass quickly. Carry medication with you and have it positioned in easy-access places at home. The constellation of symptoms one experiences with Meniere’s disease are universal and can also be overlapping symptoms in other disorders. Other illnesses, medications, bodily, dietary, and hormonal changes can serve as the cause of vertigo, dizziness, and nausea. You must consult your physician to discover the underlying cause behind your symptoms. The discovery will prove a collaborative effort between you and your physician. If you discover you or a loved one suffers from Meniere’s Disease, the symptoms are manageable. 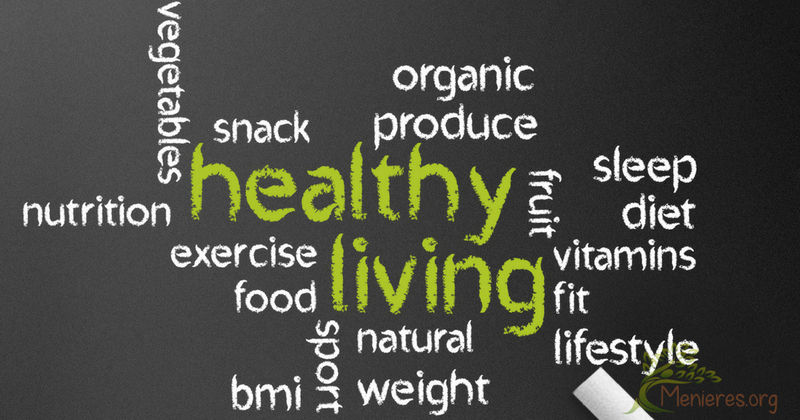 Implementing lifestyle and dietary changes help in reducing the severity of Meniere’s symptoms and the frequency of the condition’s onset. It’s important for you to take a proactive approach to your short and long-term care. Take the time to educate the people in your life. Tell them what you will need when you get dizzy so they can become part of your safety plan. People who care about you often feel helpless. Knowing their role and understanding your condition helps everyone.